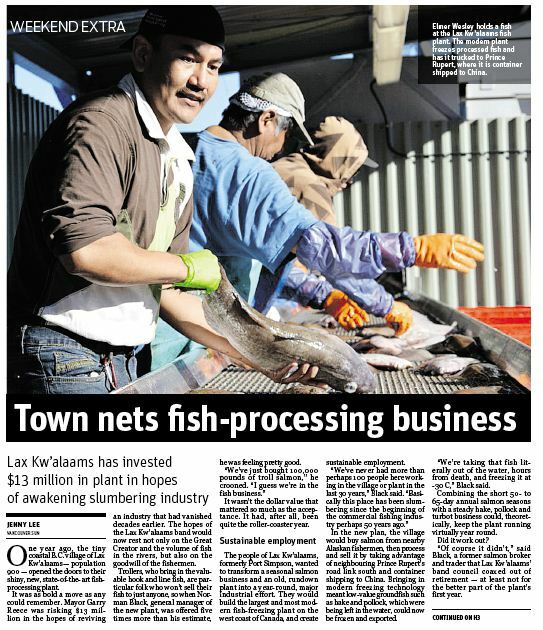 The Lax Kw’alaams and Peak have worked successfully together on a number of initiatives, including the launch of an engineering joint venture and the rebrand of their fish processing plant in northern B.C. The band recently approached Peak to help raise awareness of the success of the fish plant both at federal government and local community level. The band wanted to demonstrate the profitability of the plant and its positive impact on the local economy, as well as engage key government stakeholders. 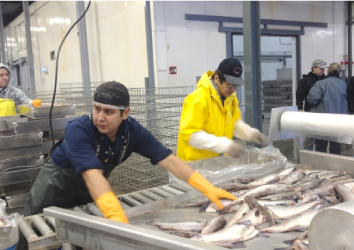 The plant’s prosperity was also a chance for the band to demonstrate the success of the federal government’s Pacific Integrated Commercial Fisheries Initiative (PICFI). The band was hoping for the program to continue and was looking for a positive story to coincide with a federal delegation’s visit to the community. 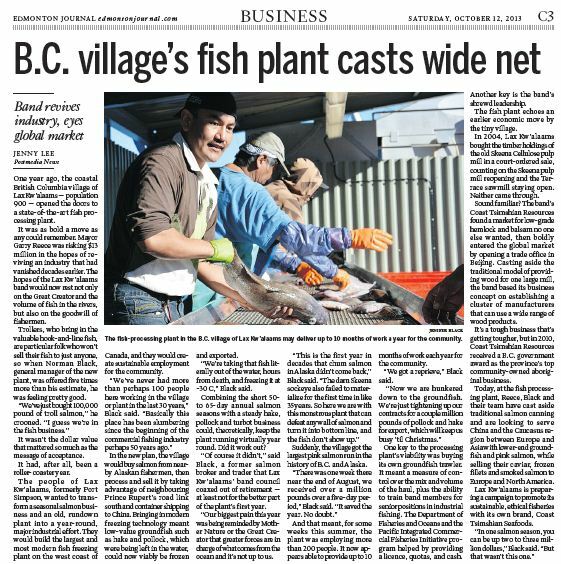 Peak utilized the economic milestone of the fish plant’s payroll hitting $1.5 million annually as a news hook in order to pitch a news release to B.C. and Alberta print, TV and radio media. Peak secured numerous interviews for the fish plant’s general manager. 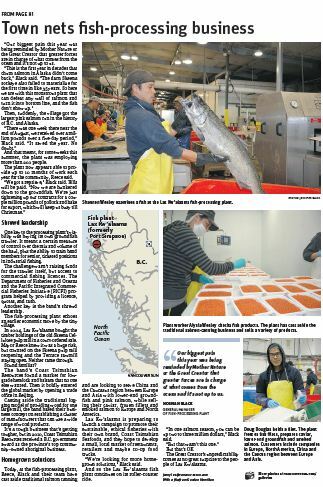 The Vancouver Sun cover story appeared a day before the visit from the federal ministers, prompting them to publicly champion the story, the band and the PICFI program. Minister of Industry James Moore tweeted about the fish plant and engaged in a robust social conversation on the topic. The PICFI program is currently under review, but the probability of an extension is high.